England captain Alastair Cook on Wednesday said he has been left pleasantly surprised by the way his team bounced back from the opening loss to win back-to-back Tests against India but insisted that the job is still not over. Cook hoped that his side will continue the good run in the fourth and final game commencing at the VCA Stadium in Jamtha here on Thursday. "I am pleasantly surprised by the character shown by the team [after Ahmedabad] in the last two games. I am pleased. We have played good, tough cricket. But we have to continue that," said Cook at the pre-match media conference. England bounced back after the nine-wicket loss in Ahmedabad to win back-to-back Tests in Mumbai and Kolkata, by 10 and seven wickets respectively. They are heading into the last match 2-1 ahead and with the prospect of returning him with their first series win in India in 28 years. "The last game was a real team effort from everyone. At the beginning of the series we were desperate to win it and we are having an opportunity here to do it," remarked Cook, who has led from the front by scoring 548 runs with three back to back hundreds in six innings so far. But Cook, who made his debut in this city eight years ago but at the old VCA Stadium where he hit a half century and an unbeaten ton, insisted that it was important to focus on the job at hand and not at what can happen later. "Everyone knows how important this game is. As a player you have to focus on the job at hand and keep emotions out," he said. 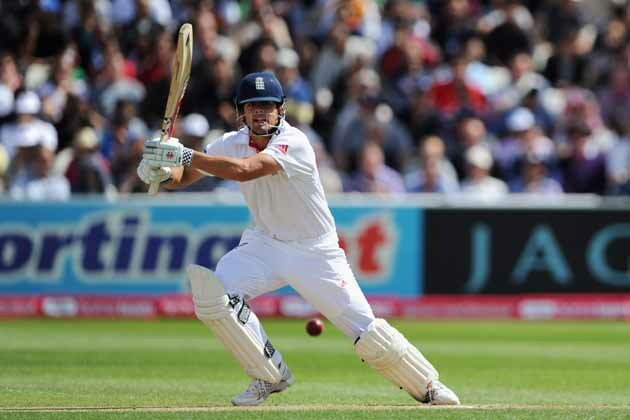 Cook insisted that the cornered Indian outfit will come out hard in the series final. "They will be desperate not to let the home record broken," he said referring to the fact that India have not lost a home Test rubber in eight years. Asked whether it could be senior Indian batsman Sachin Tendulkar's last game in the face of the severe criticism he has faced recently, Cook looked bemused and said he had enjoyed playing against the world's most prolific run-getter and century-maker. "He's an amazing player with a fantastic record like his 100 100s. It has been a pleasure playing against him," said Cook. On to the team composition, Cook said Stuart Broad was out of contention for a place in the eleven with a bruised heel. He also termed the wicket for the match as "very dry".